An awakening of Haitian Christians through community development, economic development, and church-ministry development. Our goal is equip local Christians to reach their own communities and their own country through showing Christ’s love in action. "Love doesn't just keep thinking about it or keep planning for it. No American missionary can evangelize a foreign country as well as Christian nationals can, but in Haiti, extreme poverty hampers the ability of Haitian Christians to evangelize their own country. Often Haitian Christians do not have the resources to adequately support the ministries of a local church or to get systematic Bible training of any kind. In Haiti, church planting and church growth largely depend on outside support in the form of finances and personal relationships. Although many Haitians have not come to a saving knowledge of Jesus Christ, Haiti is not a mission field which needs Christ introduced. In fact, it is our belief that American Christians could learn much from Haitian believers in the way they live their lives in trust, submission, and mutual edification. Haiti is a mission field where economic opportunities and personal relationships are necessary to help Haitian Christians and pastors move beyond mere physical subsistence to evangelism and systematic Bible training that will spur church growth and additional church planting. Haiti Awake is our ministry. 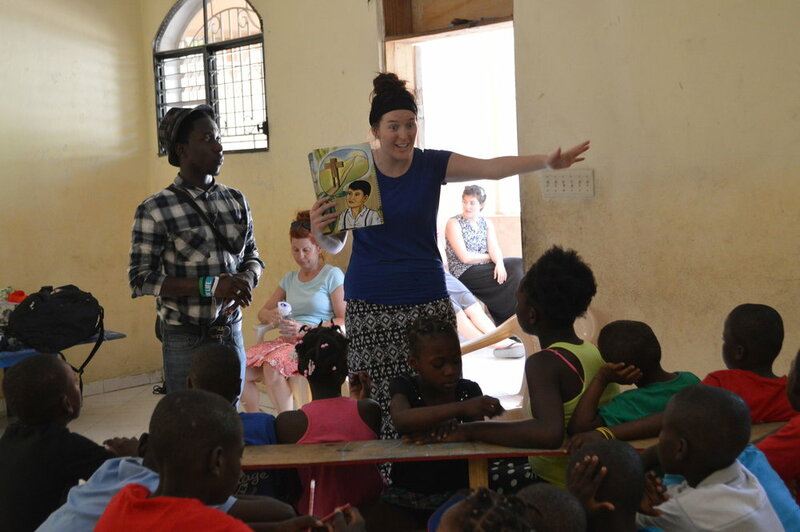 Want to partner with Haiti Awake by making a lasting impact in our children’s lives? For a minimum of $35/month; you can sponsor one of our 13 children in our Haiti Awake Children’s Home in Port-Au-Prince, Haiti. This goes toward their food, housing, clothing, water, school tuition, home necessities, toiletries, home care staff, transportation, medical care, etc. We look at the child sponsorship as so much more than monthly support. We hope that you actively pursue relationship with your child by corresponding and visiting (if possible) as you can. Even if it is only through letters and pictures, we want our children to know their sponsors and their sponsors know them. If interested, please contact our Child Sponsorship Coordinator at sponsorship@haitiawake.org.